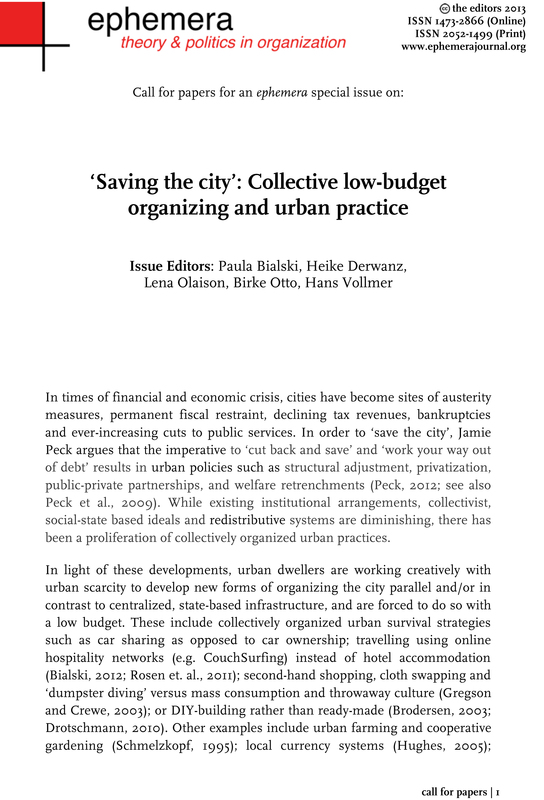 Färber, Alexa; Otto, Brike (2016): Saving (in) a common world: Studying urban assemblages through a low-budget urbanities perspective. In: Anders Blok/Ignacio Farias (Hg. 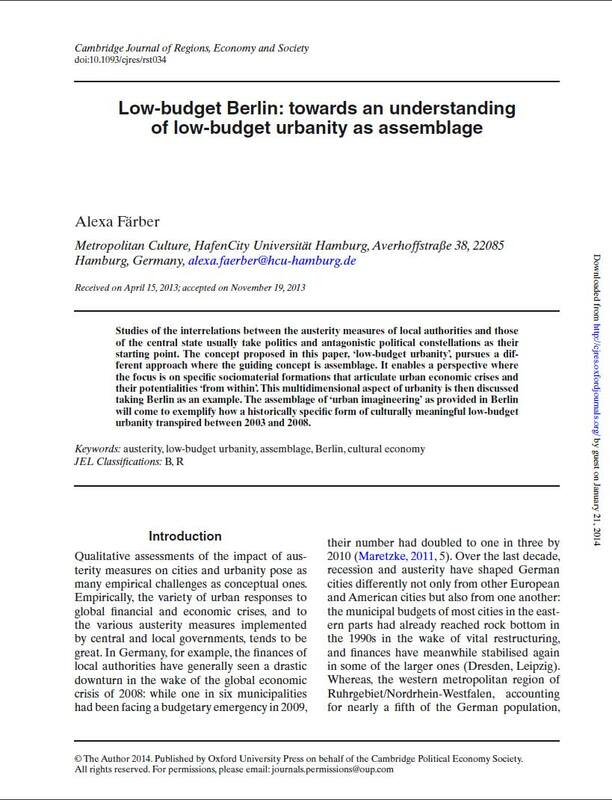 ): Urban cosmopolitics. Agencements, assemblies, atmospheres. .